Our high-quality double hung windows offer two vertically sliding openable sashes that conveniently move inside of the frame. The tilt on the two sashes of this style window, along with the durable vinyl frames, make cleaning and maintenance quick and easy. Optional grids built inside the glass panes add beautiful detail to the exterior of any home, while our state-of-the-art thermally fused vinyl frames prevent air, water and noise infiltration. 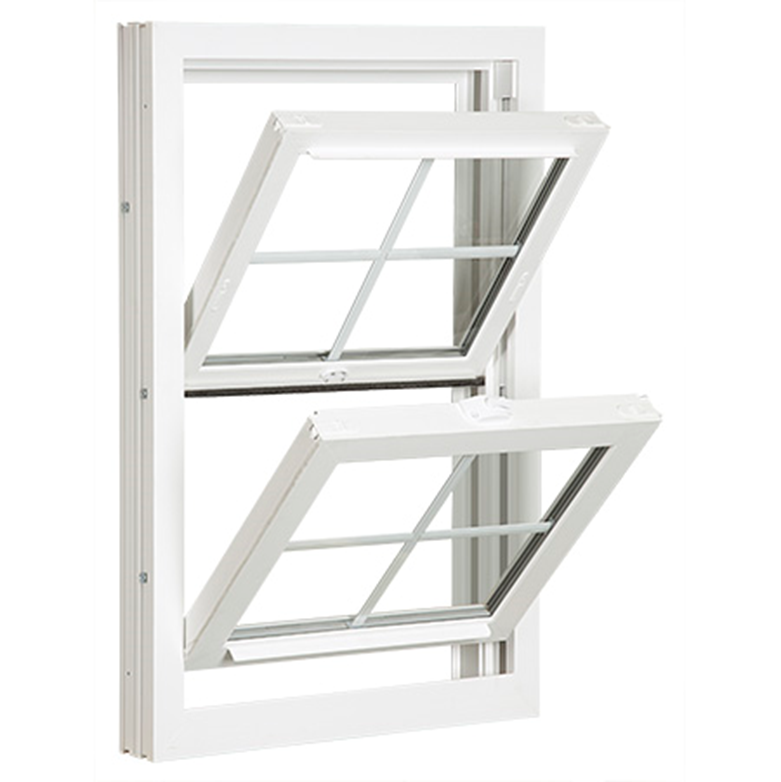 Plus, our double hung windows feature a limited lifetime warranty and optional energy efficient glass.